The European Medicines Agency (EMA) is a European Union agency for the evaluation of medicinal products. Prior to 2004, it was known as the European Agency for the Evaluation of Medicinal Products (EMEA). Roughly parallel to the drug part of the U.S. Food and Drug Administration (FDA), but without centralisation, the EMA was set up in 1995 with funding from the European Union and the pharmaceutical industry, as well as indirect subsidy from member states, in an attempt to harmonise (but not replace) the work of existing national medicine regulatory bodies. The hope was that this plan would not only reduce the €350 million annual cost drug companies incurred by having to win separate approvals from each member state but also that it would eliminate the protectionist tendencies of sovereign states unwilling to approve new drugs that might compete with those already produced by domestic drug companies. The EU is currently the source of about one-third of the new drugs brought onto the world market each year. Based in London, the EMA was founded after more than seven years of negotiations among EU governments and replaced the Committee for Proprietary Medicinal Products and the Committee for Veterinary Medicinal Products, though both of these were reborn as the core scientific advisory committees. After the United Kingdom withdrawal from the European Union referendum it is yet unclear if the agency remains in UK. The EMA operates as a decentralised scientific agency (as opposed to a regulatory authority) of the European Union and its main responsibility is the protection and promotion of public and animal health, through the evaluation and supervision of medicines for human and veterinary use. More specifically, it coordinates the evaluation and monitoring of centrally authorised products and national referrals, developing technical guidance and providing scientific advice to sponsors. Its scope of operations is medicinal products for human and veterinary use including biologics and advanced therapies, and herbal medicinal products. The agency is composed of the Secretariat (ca. 600 staff), a management board, seven scientific committees (human, veterinary and herbal medicinal products, orphan drugs, paediatrics, advanced therapies and pharmacovigilance risk assessment) and a number of scientific working parties. The Secretariat is organised into five units: Directorate, Human Medicines Development and Evaluation, Patient Health Protection, Veterinary Medicines and Product Data Management, Information and Communications Technology and Administration. The Management Board provides administrative oversight to the Agency: including approval of budgets and plans, and selection of Executive Director. The Board includes one representative of each of the 28 Member States, two representatives of the European Commission, two representatives of the European Parliament, two representatives of patients' organisations, one representative of doctors' organisations and one representative of veterinarians' organisations. The Agency decentralises its scientific assessment of medicines by working through a network of about 4500 experts throughout the EU. The EMA draws on resources of over 40 National Competent Authorities (NCAs) of EU Member states. The centralised procedure allows companies to submit a single application to the agency to obtain from the European Commission a centralised (or 'Community') marketing authorisation (MA) valid in all EU and European Economic Area (EEA)-European Free Trade Association (EFTA) states (Iceland, Liechtenstein and Norway). The centralised procedure is compulsory for all medicines derived from biotechnology and other high-tech processes, as well as for human medicines for the treatment of HIV/AIDS, cancer, diabetes, neurodegenerative diseases, auto-immune and other immune dysfunctions, and viral diseases, and for veterinary medicines for use for growth or yield enhancers. The centralised procedure is also open to products that bring a significant therapeutic, scientific or technical innovation, or is in any other respect in the interest of patient or animal health. As a result, the majority of genuinely novel medicines are authorised through the EMA. For products eligible for or requiring centralised approval, a company submits an application for a marketing authorisation to the EMA. A single evaluation is carried out through the Committee for Medicinal Products for Human Use (CHMP). If the Committee concludes that the quality, safety and efficacy of the medicinal product is sufficiently proven, it adopts a positive opinion. This is sent to the European Commission to be transformed into a marketing authorisation valid for the whole of the EU. A special type of approval is the paediatric-use marketing authorisation (PUMA), which can be granted for medical products intended exclusively for paediatric use. The CHMP is obliged by the regulation to reach decisions within 210 days, though the clock is stopped if it is necessary to ask the applicant for clarification or further supporting data. This compares well with the average of 500 days taken by the U.S. Food and Drug Administration. The Committee for Medicinal Products for Veterinary Use (CVMP) operates in analogy to the CHMP as described above. The Committee on Orphan Medicinal Products (COMP) administers the granting of orphan drug status since 2000. Companies intending to develop medicinal products for the diagnosis, prevention or treatment of life-threatening or very serious conditions that affect not more than five in 10,000 persons in the European Union can apply for 'orphan medicinal product designation'. The COMP evaluates the application and makes a recommendation for the designation which is then granted by the European Commission. The Committee on Herbal Medicinal Products (HMPC) assists the harmonisation of procedures and provisions concerning herbal medicinal products laid down in EU Member States, and further integrating herbal medicinal products in the European regulatory framework since 2004. The Paediatric Committee (PDCO) deals with the implementation of the paediatric legislation in Europe Regulation(EC) No 1901/2006 since 2007. Under this legistation, all applications for marketing authorisation of new medicinal products, or variations to existing authorisations, have to either include data from paediatric studies previously agreed with the PDCO, or obtain a PDCO waiver or a deferral of these studies. The Committee for Advanced Therapies (CAT) was established in accordance with Regulation (EC) No 1394/2007 on advanced-therapy medicinal products (ATMPs) such as gene therapy, somatic cell therapy and tissue engineered products. It assesses the quality, safety and efficacy of ATMPs, and follows scientific developments in the field. A seventh committee, the Pharmacovigilance Risk Assessment Committee (PRAC) has come into function in 2012 with the implementation of the new EU pharmacovigilance legislation (Directive 2010/84/EU). Pharmacovigilance The Agency constantly monitors the safety of medicines through a pharmacovigilance network and EudraVigilance, so that it can take appropriate actions if adverse drug reaction reports suggest that the benefit-risk balance of a medicine has changed since it was authorised. Referrals The Agency coordinates arbitration procedures relating to medicinal products that are approved or under consideration by Member States in non-centralized authorisation procedures. Scientific Advice Companies wishing to receive scientific advice from the CHMP or CVMP on the appropriate tests and studies to carry out in the development of a medicinal products can request it prior to or during the development program. Telematics projects The Agency is responsible for implementing a central set of pan-European systems and databases such as EudraVigilance, EudraCT and EudraPharm. ↑ Set up by EC Regulation No. 2309/93 as the European Agency for the Evaluation of Medicinal Products, and renamed by EC Regulation No. 726/2004 to the European Medicines Agency, it had the acronym EMEA until December 2009. The European Medicines Agency does not call itself EMA either – it currently has no official acronym but may reconsider if EMA becomes commonly accepted (see communication on new visual identity and logo). ↑ "Questions and answers on the paediatric use marketing authorisation (PUMA)" (PDF). European Medicines Agency. 13 September 2011. ↑ Sherwood, Ted (16 April 2008). "Generic Drugs: Overview of ANDA Review Process" (PDF). CDER Forum for International Drug Regulatory Authorities. Food and Drug Administration, Office of Pharmaceutical Science. Retrieved 30 January 2010. McCormick, John (2004). 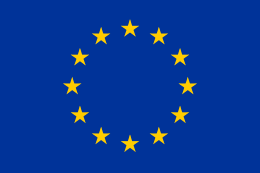 The European Union: Politics and Policies. Boulder, Colo: Westview Press. ISBN 0-8133-4202-3.